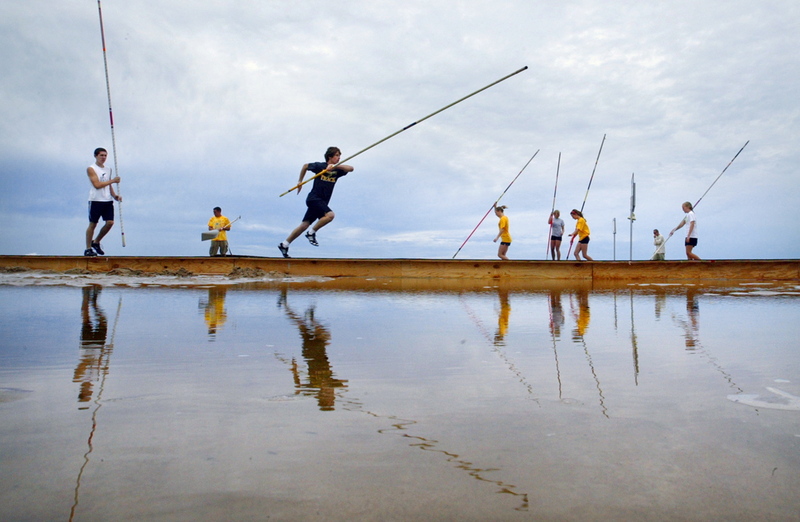 The Grand Haven Beach Vault is a carnival of vaulting. On the Lake Michigan Shores in one of the most beautiful places in the world. You can swim in Lake Michigan, shop in downtown Grand Haven, walk the pier and jump to heights yet unattained. Register Today! 2nd Event Code Available $25 discount if doing Elite HS on 2nd Day (email for code). In person/day of $100 if spots available on-line or in person. *We take all entries and then roughly divide them in half when there are two divisions for an age or level. Next we put any equivalent or tied seeds into the lower division so that the lower division will typically have more jumpers than the higher division of the same age or level bracket. Div 2 is the group with higher personal best vaults. Div 1 are vaulters in the same age with lower personal bests. Warm-ups are for the group about to jump. Additional information can be found on our FAQ pages.